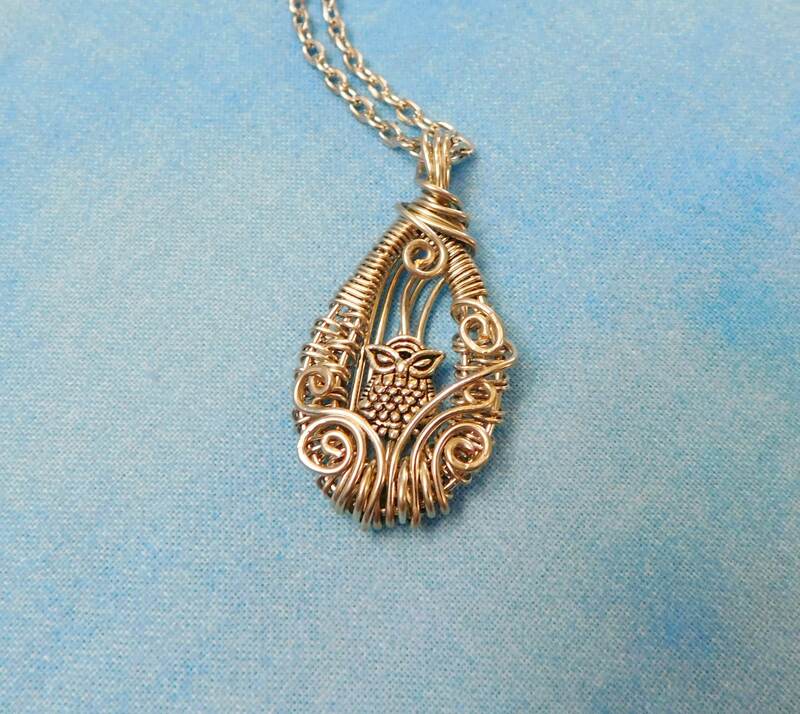 A tiny metal owl nests in the center of this meticulously hand woven wire frame. 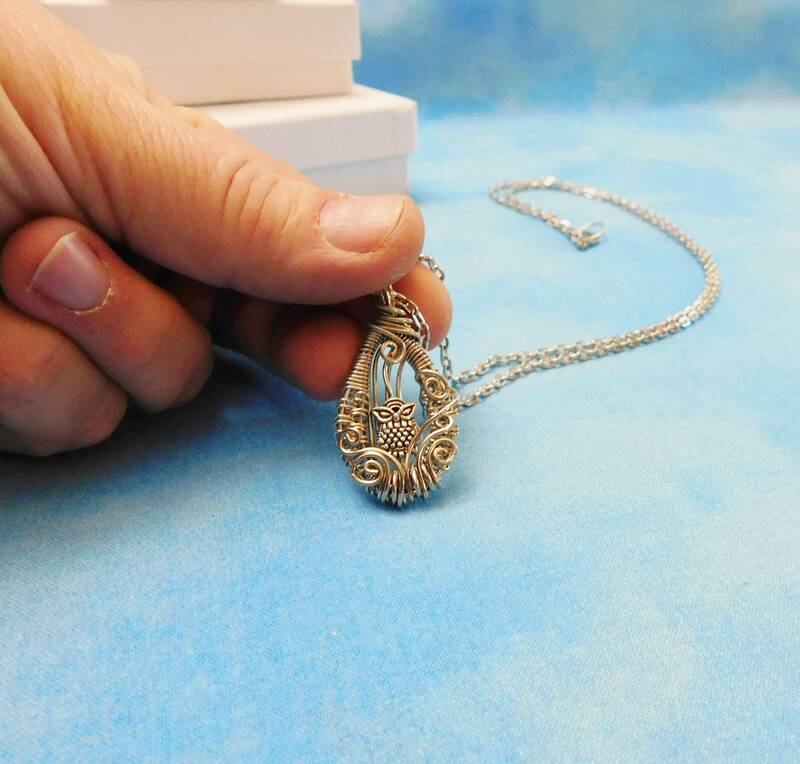 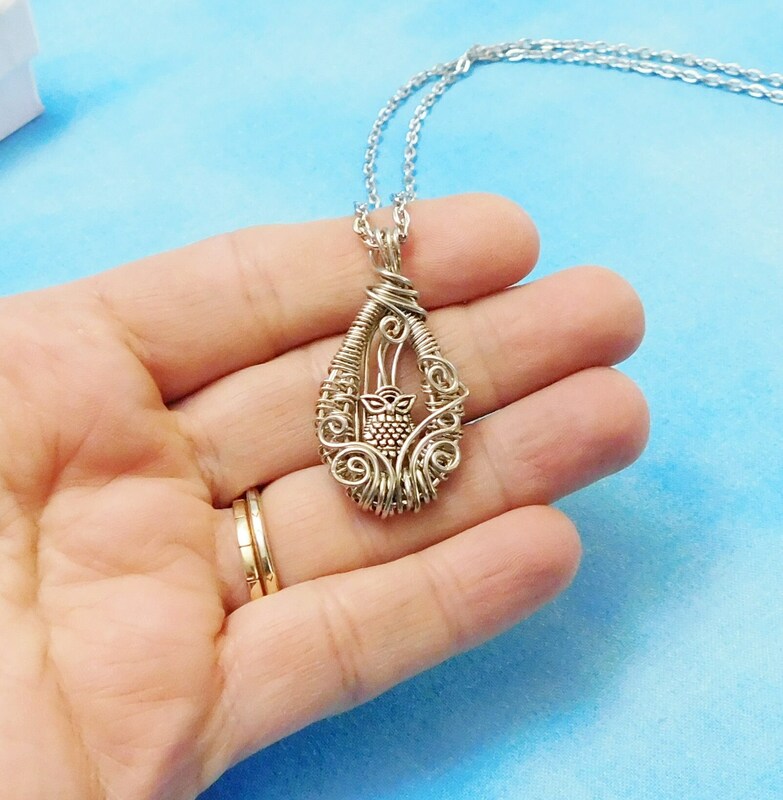 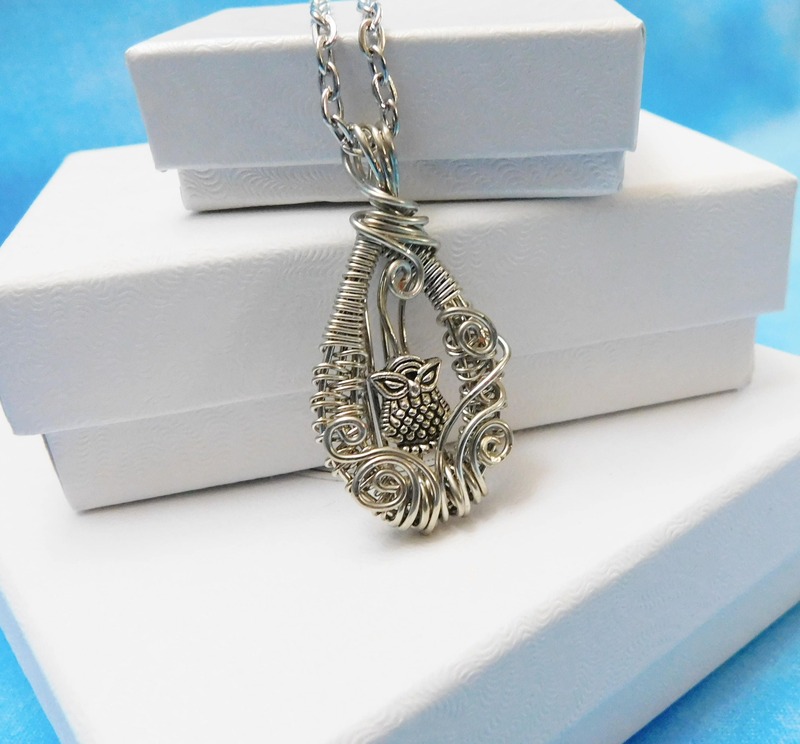 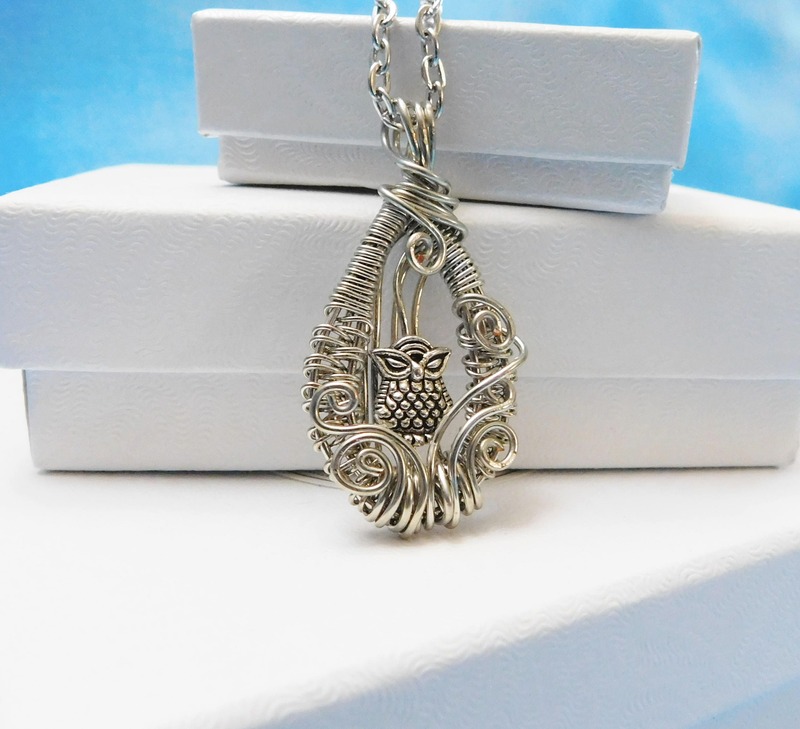 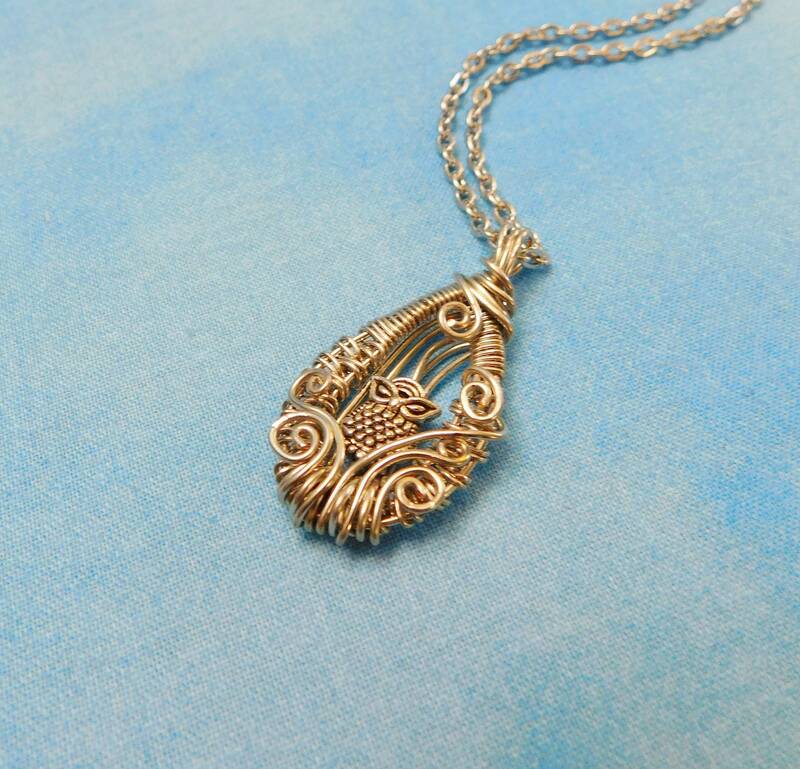 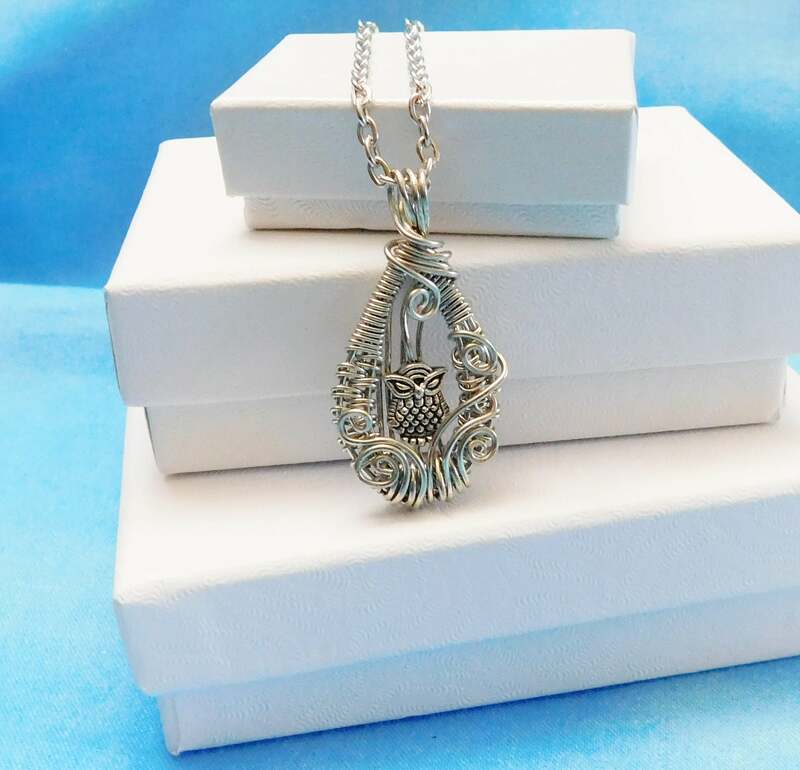 The artistic design is created using four individual strands of matte metal wire, a tiny owl charm, and pliers. 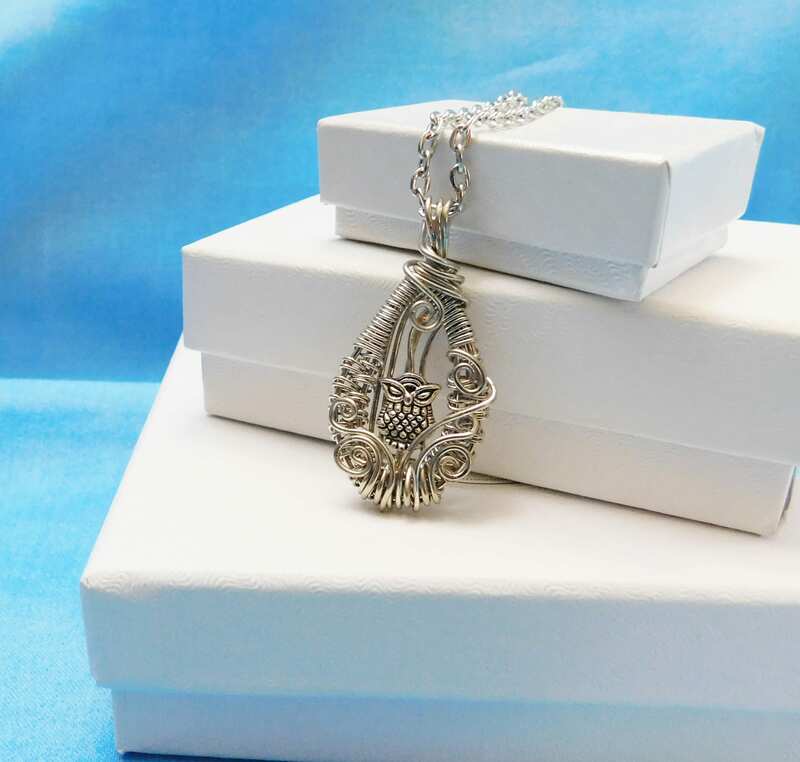 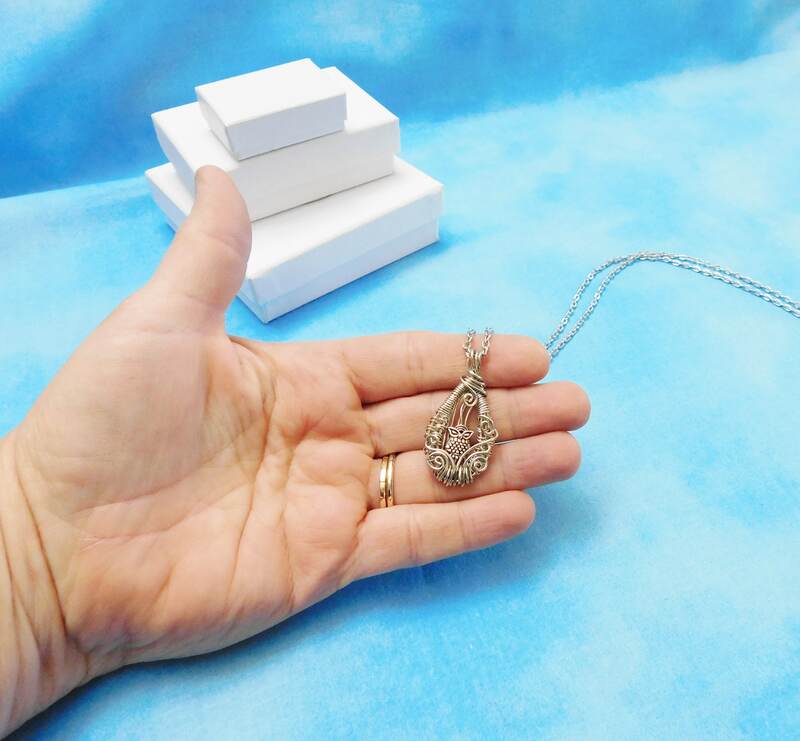 The frame measures 1 inch by 3/4 inch and comes with a FREE coordinating chain with lobster claw clasp, measured to your preferred length.